North Davidson area, also known as NoDa, was once dedicated to textile manufacturing and mill workers' residences. Those sleepy, industrial days are over, and NoDa is now known as an arts community and a great place to eat and drink. Although the neighborhood is only a little over one square mile -- bordered by North Tryon St, Matheson Ave, East Sugar Creek Rd, and The Plaza to the south -- it packs in a lot to do in a very short space. Home to the NoDa Farmers Market, music venues like The Evening Muse and Neighborhood Theatre, and neighborhood events such as art crawls and festivals, NoDa is never lacking in things to do. While music and art are a huge part of the community, the food and drink scene is what keeps the area buzzing at all times of the day. We created a list of some of the quintessential NoDa places to go to for all occasions and cravings. Want to go out and grab a beer, but don’t want to leave your fur baby at home? 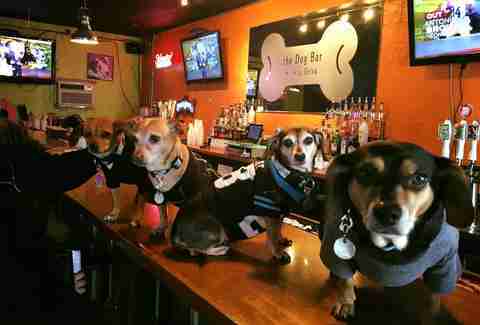 The Dog Bar is the place for both of you. Dogs are allowed off-leash to frolic and play while their owners can drink beer, wine, and cocktails. 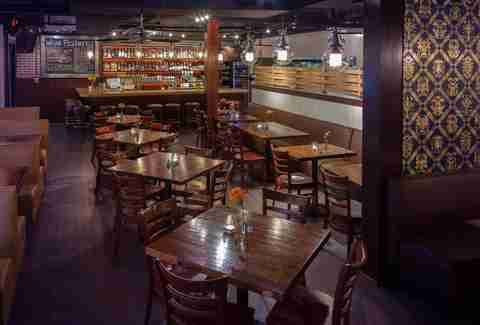 The bar doesn’t serve food, but has takeout menus on hand for you to order in. Word to the wise: watch your step, dogs will be underfoot. 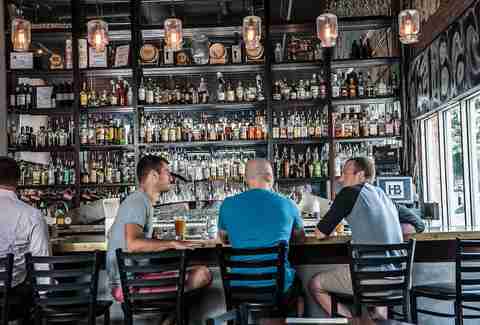 Focused on craft beer, Growlers Pourhouse has a regularly rotating beer list guaranteeing you will see something new each time you go. In addition to the beer selection, the food is not to be dismissed or missed. The oyster selection changes daily and is always fresh. Not sure what to drink with your oysters? Never fear! The bartenders will help you pair your oysters with just the right beer. Sabor Latin Street Grill focuses on street food you would typically see in Latin American countries. You really can’t go wrong with anything you order here, but the nachos are on another level. 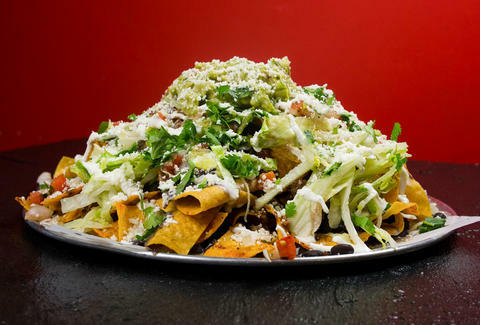 There is the supreme -- which is a more standard order with guacamole, queso, pico de gallo, and choice of protein -- but the Dominican is for the more adventurous nacho connoisseur. Yuca fries smothered in shredded chicken, sautéed cabbage, pico de gallo, cotija cheese, and rosada sauce make for an unforgettable experience. Since 2000, Smelly Cat has provided caffeinated fuel to those who live in NoDa, as well as those who come from all over the city for a cuppa joe. Coffee (including the signature nitrogenated cold brew), tea, and fresh-baked goods can be found at this coffeehouse with a cult following. This quirky spot also has a shady outdoor patio and open mic/stand-up comedy nights, but is also quiet enough to stay and work or study. Whether for a first date, a special occasion, or just a night out with your sweetie, Crepe Cellar is the perfect date spot in NoDa. A dimly lit interior with dark wood, wallpaper, and brick walls set the tone, while the food and drinks take the experience to the next level. Order one of the signature crepes, or another entree such as the steak and Guinness pie or the mussels. Order a bottle of wine or a signature cocktail from the impressive beverage list and let the night take you where it may. Featuring Boar's Head meats, a selection of cheeses, beer, wine, and other stop-and-grab goodies, the NoDa Bodega has a little something for everyone. Pick up some essentials or order a sandwich to go; if you’re a meat lover, the Italian Stallion with prosciutto, finocchiona, coppa, fresh mozzarella, and peppadew relish will nearly overfill your belly. Don’t forget the daily soup specials -- the Portuguese white bean soup is a treat when offered. 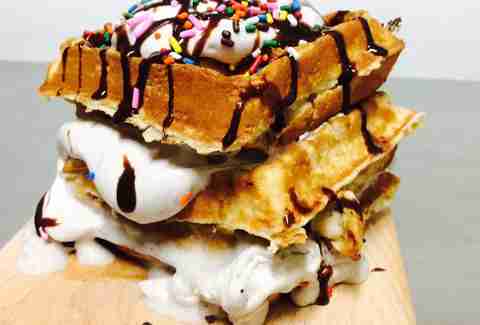 Didn’t know that you needed a waffle sandwich? Well, you definitely do. Nestled in Salud Beer Shop, FūD at Salud serves up delicious sandwiches, but the crowning glory is that you can have your sandwich served on waffles. The chicken & waffles with chicken salad, bacon, maple syrup, and candied walnuts is a crowd favorite, as are the specialty waffle of the week offerings. Benny’s gave NoDa and Charlotte exactly what it needed, but never realized it needed -- a slice of pizza that requires two plates. If you have a small car, don’t even try to order a pizza to go or you may end up putting a 28in pie in the trunk. Pizza options range from standards like cheese and pepperoni, to more unique flavors like chorizo and queso, as well as specials that change monthly. Wash down that cheesy goodness with one of more than 25 craft brews. Yes, Heist serves its own delicious beers, but you also have one of the O.G. Charlotte bartenders making amazing cocktails. Stefan Huebner serves up classics like mojitos as well as new takes on classics, such as the pecan smoked Manhattan. Since it’s a brewery, there are even beer cocktails such as the Black Fog, which is made with Heist’s stout, blackberry puree, and Jim Beam Rye. Opened in the spring of 2016, NoDa Company Store features craft beer from the Carolinas in cans and on draft, as well as a thoughtful wine selection. If available, order one of the house-made sangrias or Bellinis. While the store is charming, take your drink outside on a nice day. There are picnic tables set up, but the real draw is the swingset. Sip and swing your afternoon away solo, with your special person, or with friends. 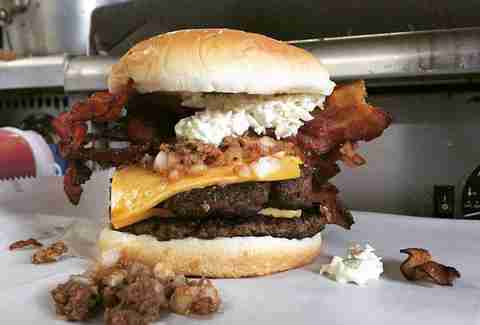 Brooks’ Sandwich House has served Charlotteans breakfast and lunch for more than 40 years. At this family-owned institution, patrons can order a cheeseburger “all the way” with mustard, onions, and thick homemade chili for $3.75. Extra napkins will be needed. Serving Cajun and seafood dishes, Boudreaux's Louisiana Kitchen is a great spot for something different. The gumbo is the star of the menu, but you can’t go wrong with any of the Cajun classic dishes, especially the mulatte, tilapia topped with rice and etouffee. 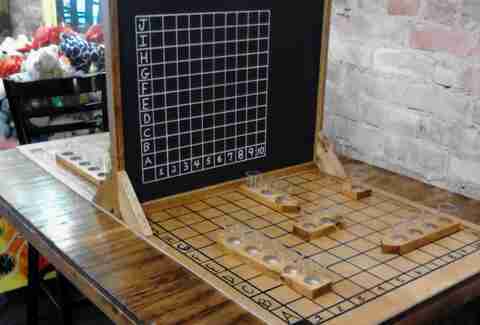 The Blind Pig is where the big kids go to play. You could spend hours playing your favorite old games such as Skee-Ball, Jenga, foosball, and the claw (just try getting a stuffed animal after a couple drinks). This is a watering hole through and through, with a craft beer tap to match. There is a $1 annual membership fee because it doesn’t serve food, but with all the other restaurants within walking distance, we know that you won’t go hungry. If you had a little too much fun in NoDa the night before (it happens to the best of us), head to JackBeagle's. If it’s the weekend, order the Bucho’s breakfast hoagie, which was created specifically to fix your hangover. Seriously, it says so on the menu. Scrambled eggs, bacon, sausage, grilled onions, cheddar cheese, and breakfast taters served on a foot-long Italian hoagie will cure all that ails ya… or it may just make matters worse. Erin Maddrey loves exploring all areas of Charlotte, but doesn't have a favorite yet. Follow her on Twitter and Instagram: @ErinMaddrey.